Crystal Palace is a wall clock, designed by Alessandro Mendini. The designer celebrates his debut for the Italian design manufacturer Kartell and was inspired by the diversity of the material plastic. Crystal Palace has a strong presence thanks to the bold colours, the material, the shape and the surface structures. Mendini is fascinated that plastic can look like crystal and underlines the surface with the graphically articulated structures that are reminiscent of paintings by Roy Lichtenstein. The unusual form of a twelve-point star as clock face with two plain recessed sitting hands makes the clock already a design icon. The wall clock is available in different colours. 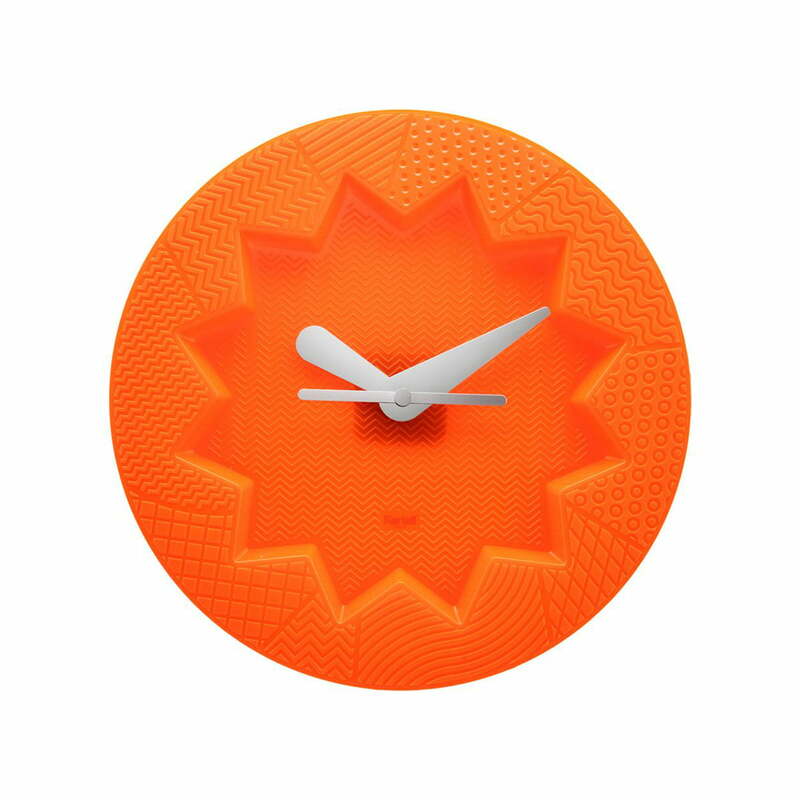 Single image of the Crystal Palace wall clock by Kartell in orange. Crystal Palace has a strong presence thanks to the bold colours, the material, the shape and the surface structures.